Booking a ferry in or to China is simple, easy and safe with AFerry, just use the booking form above to get a price. Booking a ferry to or from China couldn't be easier with AFerry. You can either use the booking form at the top left of the page. China has the largest population in the world and is home to over 1.35 billion people. It is one of the most rapdily developing countries in the world making it a great time to visit. As the world's oldest civilisation there is also a rich history to be explored. Chinese food is very popular in England but it must be tasted on its native home soil. Ingredients are sourced locally so the cuisine has a traditional authenticity about it. You will notice the difference when you try foods you are familiar with and the other dishes offer a new experience entirely. There are many methods of travel in China, with train and road links between major cities, with bus services available. For travel within the city, there are subway systems, tram lines and rickshaws. China is a huge country with endless opportunities. Chinese culture is present in the UK but it has to be experienced first hand. China is around the same size as the United States of America. With over a billion people living in China, it is home to the world's largest population. 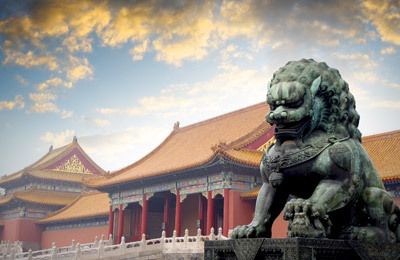 With such a large land area and so many individual cultures, there is a vast selection of things to do in China. China is subject to extreme weather conditions, from bitter cold in winter to unbearable heat in summer. With this in mind, the best time to go is either Spring (March to May) or Autumn (September to November). The country is so large that domestic flights are a popular way to travel across the country. If you are looking to travel more locally then train and bus services are available. Shorter journeys can be taken by taxi or if you have the opportunity, go by rickshaw. Cycling is the transport of choice for many locals and if you know where you want to go, it's a great way for tourists to get around too. 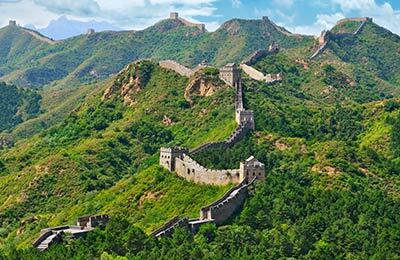 The Great Wall of China is one of the seven wonders of the world. It is 5,500 miles long making it difficult to tour the whole thing during your stay, but the most notable areas to visit lie in the muncipality of Beijing. It's a great place to go if you want to explore the sights, or enjoy an active holiday with a bicycle. There are countless restaurants in China, many serving food that will put your favourite takeaway into perspective. Traditional recipes and locally sourced ingredients create an experience that can only be had in China itself. Thrill seekers may enjoy the offerings of Ocean Park, which is widely regarded as the top theme park in China. It has to compete with neighbouring theme park Hong Kong Disneyland, which is the best place to go for Disney lovers and young families. AFerry.co.uk offers the best way to find the cheapest ferry routes to China with its easy to use booking form. Begin your holiday on a ferry and start relaxing straight away! Turbojet more than met our expectations for a day trip to Macau. The boat was comfortable, the staff were fine and the trip was smooth in both directions.